Hop along to our Easter Egg-stravaganza for family fun activities, chocolatey treats and the chance to meet your favourite White Post Farm animals. 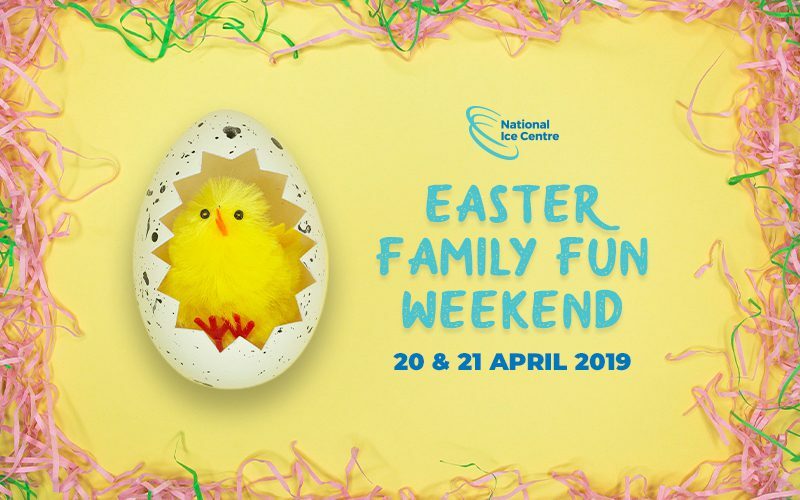 We’re celebrating the Easter weekend with a packed two days of events for everyone to enjoy, as well as access to our ice rink where you can learn how to skate like a pro. We’re bringing a piece of the countryside to the city centre by teaming up with White Post Farm, who will be setting up an Easter petting zoo. Animal fans can enjoy meeting their favourite creatures from the farm including cute bunnies and chirping chicks, you might also see new born lambs! We will be giving out fun prizes with the chance to win some tasty Cadbury Crème Eggs. There will also be fun arts and crafts to enjoy, including Easter bonnet making and face painting. Keep an eye out for our photographer, who will be capturing the celebrations in full swing. The photos will be available on our Facebook page after the event. Our Easter Egg-stravaganza will be free to enjoy with the purchase of a skating ticket. Standard skating prices apply.